Although the Halacha is clear, controls and safeguards which take the human element into consideration are required to assure that Kashrus has not been compromised. One of the oldest Halachic safeguard systems put into place has been the system overseeing productions of Kosher milk. It was common practice among farmers to mix milk of various species together, unbeknownst to their customers. Since it was conceivable to have a farm mixture of Kosher and non-Kosher milk, our Rabbis issued an injunction several thousand years ago, against the use of Cholov Akum, milk from a non-Jewish farmer. This restriction did not apply if there was supervision of the farmer by a Yehudi during the milking. The Rabbis ruled that unsupervised milk may not be used, even though most of the milk available in the area came from Kosher species and the likelihood of tampering was slim. Our Rabbis stipulated that in order to ensure that the milk of an Akum is Kosher, a Yehudi must be present from the milking until the bottling. The Yehudi must be able to identify that the milk production has not been compromised, or that the milk has not been adulterated. The supervisor must be a G-d fearing Jew in his personal activities so that his credibility regarding Kashrus issues is beyond reproach. Milk produced under the auspices of this Mashgiach is called Cholov Yisroel. A few centuries ago, a major controversy arose between the leading Torah scholars of that generation regarding the following question: What is the Halachic status of milk coming from an Akum owned farm that only has Kosher animals? Are we allowed to assume that the milk is Kosher because no non-Kosher animals are found in the herd, or does the Rabbinic ban of purchasing only supervised milk, Cholov Yisroel, still apply since it is possible, albeit improbable, that the farmer may have brought milk from an outside source to mix with the milk of his Kosher herd. The prevalent custom in European communities was to adhere to the stricter side of the controversy and to require a Mashgiach to be present, even at an Akum farm of totally Kosher animals. Another alternative was to purchase milk from the farm of an observant Jew. Is the European custom applicable to the milk produced in the dairies of the United States? This question was posed to one of the foremost Poskim of our generation, HaGaon Rav Moshe Feinstein zt”l who stated that circumstances today, in the United States, are not the same as centuries ago, due to the fact that Federal law prohibits the use of the term “milk” for any species other than cow’s milk. If milk is derived from another species, the name of that species must be appended to the term milk, eg. goat’s milk. Furthermore, USDA, a Federal Agency, sends federal inspectors to visit all dairy plants to determine whether they are complying with the law. If the dairy is found in violation of the law, a stiff fine can result, plus negative publicity that would be in the dairy’s worst interest. In view of these company fears, Horav Feinstein zt”l asserts that our own intellect allows us to proclaim, with assurance, that United States liquid milk is 100% unadulterated cow’s milk, with no other milk being added. What one’s intellect tells us is as valid as seeing a situation with one’s own eyes, and is comparable to two witnesses testifying that this milk is cow’s milk. Halacha calls this intellectual interpretation of these circumstances an Anon Sahadi. In essence, Rabbi Feinstein zt”l maintains that the milk produced in dairies never acquires the status of Cholov Akum. This milk has gained a unique classification of Cholov Stam (literally – plain milk), which our Rabbanim never forbade. If for some reason the milk production scenario does not fit into the parameters of Cholov Stam, as defined by Reb Moshe zt”l the milk would indeed become Cholov Akum and would be forbidden according to the original Rabbinical decree. What would the Halacha be if the dairy was owned by a Jew or if the dairy was part of a stock-held corporation where the majority of stockholders are Jewish? As was mentioned earlier, the basis for Rav Moshe’s zt”l’s ruling was based on the factor that there is a mirsus, an innate fear that the (Akum) dairy owner would be afraid to adulterate the cow’s milk. Therefore, once the milk reaches the Jewish homemaker, it never had a chance to achieve Cholov Akum status. In the case of a Jewish dairy, the milk becomes Jewish property immediately, before the mirsus factor takes effect. Does this milk automatically become Cholov Akum? Rav Moshe zt”l does not provide us with clear permission to use this type of milk. This problem is especially relevant since there are major Jewish owned dairies that bottle their own brand of milk as well as many private label dairy products sold. Obviously, Rav Moshe zt”l ‘s rationale depends upon the integrity and enforcement of the USDA federal inspection system. Whether this rationale can be applied to other countries depends upon the laws of that country, and how those laws are implemented. What is the nature of their inspection system, can you bribe inspectors, or are punishments effectively enforced? It has been stated by Torah scholars that, even in the USA, the actual enforcement of laws and penalties is not without fault. Every system has its pitfalls, the USDA not withstanding. Even Rav Feinstein zt”l himself indicates in his response that where Cholov Yisroel is readily available it is the preferable choice. Some scholars, that take issue with Reb Moshe zt”l, agree with him in principle, but dispute the fact upon which the response was based. They do not feel that government regulations and fear of legal consequences can be equated to the credibility of two witnesses. They feel that only Cholov Yisroel can be consumed and if it were not available, regular milk could not be substituted. Today, Cholov Yisroel is widely available. More and more people have accepted upon themselves the more stringent standard of Cholov Yisroel. It would be wise for those accepting upon themselves exclusive use of Cholov Yisroel to explicitly state from the outset that they are not accepting this upon themselves as a vow. Therefore, they would not be bound by their vow to refrain from drinking regular milk if they were in a place where no Cholov Yisroel was available. Nevertheless, one should still ask his Rav for guidance regarding use of non-supervised milk in such circumstances. Utensils that were used with Cholov Akum would also be considered non-Kosher, treife, and would require Kashering before reuse. However, according to Rav Moshe Feinstein zt”l, since American milk does not fall into the category of Cholov Akum, the dishes and vessels used with this milk would not be disqualified from use. Today, we have a full array of quality Cholov Yisroel products that are readily available to Kosher consumers. What are the Halachic issues and standards that have to be considered when producing these specialty dairy products and when using dairy ingredients in other food applications? Cheese – Chazal point out that there is a natural phenomenon regarding the production of hard cheese. Cheese can only be made from the milk of a Kosher animal. Milk of a non-Kosher animal will not coagulate. Furthermore, even the smallest addition of non-Kosher milk to a large vat of regular Kosher milk will cause a chemical reaction that would stop the milk from curdling. Based on this natural fact, some Poskim have indicated that milk procured for cheese making from the farm of an Akum may be assumed to be Kosher even without a Jewish supervisor present. We have a right to assume that the Akum would not mix any non-Kosher milk into the load of Kosher milk for the following reasons: The Akum realizes that the milk will disappoint his customers when the milk will not convert into cheese. He will either have to refund the customer’s money or face a lawsuit if he reneges repayment. Furthermore, some Torah authorities permit the use of non-Cholov Yisroel hard cheese even from countries that don’t have stringent milk production laws even l’chatchila; other authorities only permit the use of non-Cholov Yisroel hard cheese b’dieved, in hardship cases. Based on this reasoning, some people who drink Cholov Yisroel milk will eat hard cheese made from regular milk. However, there is another general Kashrus consideration governing Kosher cheese productions, even if the cheese is made from Cholov Yisroel. What rennet was used for the production? Rennet is an extract of the fourth stomach of a calf, rich in rennin, an enzyme which is used to curdle the milk in the cheese making process. It makes no difference whether the rennet comes from a non-Kosher species, a non-ritually slaughtered or an improperly slaughtered Kosher species. If rennet comes from such an animal, the cheese made from this rennet is not Kosher. Today, most of the Kosher rennet used in cheese productions is known as microbial rennet. Microbial rennet is genetically engineered, which means that scientists were able to grow microorganisms under appropriate conditions to create a new programmed organism that has the same qualities as the natural animal enzyme. Additionally, our Rabbis have decreed that in order for the cheese of an Akum to be Kosher, the Kosher rennet, as well as the starter culture and other coagulation media, must be put into the milk by a Mashgiach. Some authorities permit the cheese even if the coagulating media was put into the milk by an Akum, if it was done in the presence of a Yehudi supervisor. Clearly, we see that the rennet source and its addition to the cheese is crucial in Kosher cheese making. Regardless if the cheese was made from Cholov Yisroel, a reliable Mashgiach on premises is integral to Kosher cheese productions. What are the Cholov Yisroel requirements for other dairy productions? Whey is a by-product of the cheese-making process. 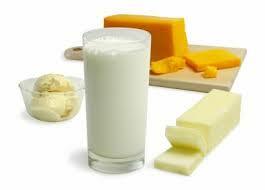 In the early stages of the cheese-making process, the solidified milk is broken up in the cheese vat into curds. As the curds break up, they release a cloudy liquid that floats to the top of the vat. This cloudy liquid, called whey, is “cooked off” so that it can be spray-dried into whey powder. Today, whey powder has far-reaching industrial food applications. What are some of the Kashrus considerations and concerns regarding whey? We must determine what rennet was used in the cheese production. If a non-Kosher rennet was used to make the cheese, in most cases, the whey will not be Kosher. Who added the rennet? Even if Kosher rennet was used for the cheese, if the rennet was not added into the milk vat by a Yehudi, or at least not witnessed by a Yehudi, then in any instance, the cheese and the whey would not be Kosher. Whey may be disqualified if all the ingredients are Kosher. Since, the milk that is used to make cheese is often heated beyond 120°F, the cheese curds and the whey is considered to be cooked together, hence, whey has been cooked with non-Kosher cheese, and is now considered to be treif. Where was the whey dried? Was the whey spray-dried on its own exclusive equipment or was it dried on the same equipment used to spray dry milk, or non-Kosher whey? Common spray drying may render the whey non-usable for Cholov Yisroel users, or it may render the whey totally non-Kosher. What is the status of Kosher, non-supervised, non-Cholov Yisroel whey for the Cholov Yisroel adherent? Whey has the same Halachic consideration as cheese. Those authorities who permit non-Cholov Yisroel cheese point to the fact that the same reasoning used for permitting hard cheese applies to whey as well. Cream and Butter – In former, less sophisticated, years of dairy production, one would open a bottle of milk and see the cream floating on the top of the milk. In those times, heavy cream was obtained by skimming large quantities of cream off the milk. The remaining milk is commonly known as skim milk. The cream that contains the large percentage of the butterfat, could remain in its natural state or be churned into butter. Since it is not possible to naturally skim off cream found in milk of non-Kosher animal or to naturally churn non-Kosher milk into butter, many Torah authorities permitted the use of cream and pure butter produced from unsupervised milk, even in places where the heter of Rav Moshe Feinstein zt”l is not applicable. Today, there are many more Kashrus issues relating to the production of cream and butter. In order to separate cream from milk, a separator, or centrifuge, is used. Since this process canalso be used to separate cream from milk of a non-Kosher animal, those who insist on Cholov Yisroel milk should also use Cholov Yisroel cream. Furthermore, today, not all butter is pure and not all butter is produced from only milk. At times, butter can contain whey powder, flavorings, or even non-Kosher gelatin ingredients. Furthermore, “creamery butter,” a product that is produced from cheese, presents serious Kashrus problems. It is understood that the Halachic leniency applied to butter is only true if the milk was produced with the understanding that it would be used for butter. However, if this information had not been relayed to the farmers, the Halacha of Cholov Akum has found a foothold and will stay with the milk. Subsequently, any dairy product, butter, or cheese produced from this milk would not be acceptable. Cottage Cheese, Farmers Cheese, Ricotta Cheese – Cottage cheese is a combination of farmers cheese, a dry curd, and a liquid dressing consisting of a mixture of cream and milk, which creams the dry curd, brings up the butterfat content, and creates cottage cheese. Creamed cottage cheese is an old favorite and was formally called curds and whey. Since curds are the soft form of hard cheese, all the Halachos that we have discussed regarding hard cheese applies to the curds of cottage cheese, farmers cheese, and ricotta cheese. However, the dressing, which is a mixture of cream and milk, must be made from Cholov Yisroel for those who adhere to the Cholov Yisroel standard. Yogurt – Yogurt was originally made from camel’s milk. Even though yogurt is only made from cow’s milk today, those using Cholov Yisroel should only use Cholov Yisroel yogurt. Powdered Milk – There are some Torah scholars who permit the use of powdered milk which is made from regular milk since it is not in its original form when it comes into Jewish hands. Most people who are careful about Cholov Yisroel do not rely on this lenient ruling. Today, the Cholov Yisroel market is larger than ever, with more and more products offered to the Kosher consumer. The Star-K is proud to be a front-runner and proponent of high quality, reasonably priced, Cholov Yisroel products.